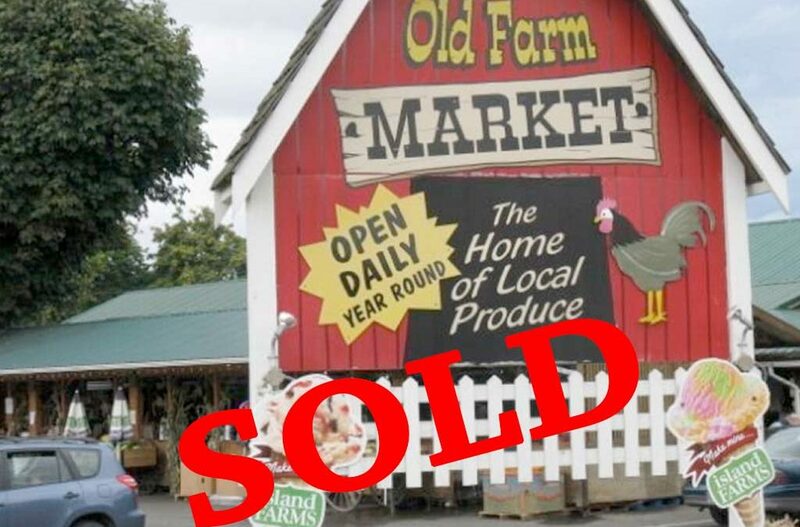 Lorne Campbell is jumping back into the grocery business with the purchase of The Old Farm Market just south of Duncan. “I’ve been wanting to get back into the business for a while,” Campbell said Thursday. Campbell grew up in the grocery business. He is the son of the late Alex Campbell Sr., co-founder of Thrifty Foods, which has been part of the Sobeys Grocery Group since 2007. The 29-year-old Old Farm Market is one kilometer south of Duncan. The market portion of the site includes locally grown produce, indoor groceries and a deli. The site also features an independently owned seafood shop, an ice-cream counter, a garden store and more. “It’s a very funky little roadside attraction,” said Campbell, who owns Budget Blinds in Victoria and is involved in real-estate development. About 50 staff work at the market. There will be no changes for employees and staff benefits are unchanged. It’s been a decade since Campbell was last in the grocery business. His new store manager will be Sam Schwabe, whom he has known since 1980. Schwabe is a former Thrifty Foods store manager and a former partner in Red Barn Market of Victoria. Campbell said he will be part of the operation at a strategic level. “Being able to sort of stand back and look at the market — and look to make little improvements and changes for the better,” he said. Campbell envisages the store becoming similar to the Old Country Market in Coombs, which has grown into a destination. “I didn’t want to compete in the conventional supermarket space against Thrifty and Save-On. I like the idea of a small market,” he said.